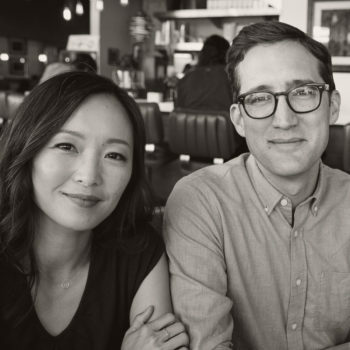 Gareth Smith and Jenny Lee are a husband and wife team who have created over 25 title sequences for television and film studios including Paramount Pictures, Columbia, Warner Bros., Sony Pictures, Fox Searchlight Pictures, Amazon, and Hulu. Titles include "Juno" and "Up in the Air". Their VFX, split-screen designs, and animation have been an integral part of films such as "Draft Day", "Men, Women & Children", and "Going in Style" (2017). Smith and Lee have juried title sequence competitions, exhibited at the Cooper Hewitt Smithsonian Design Museum, and presented at the 21st Century Design at Viacom exhibit.